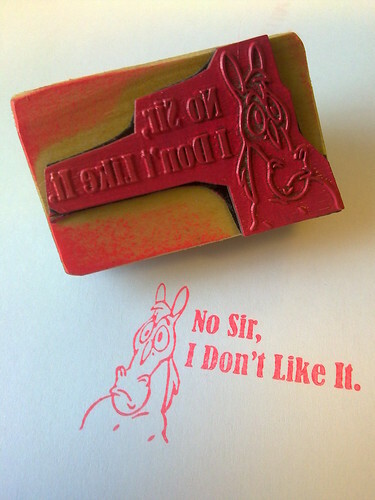 In my seemingly never-ending quest to see what I can do with my laser cutter/engraver, I tracked down some rubber stamp material and had a crack at making my own rubber stamps! Artwork was created in Corel Draw & engraved on a 60W CO2 laser. Little block of wood cut and then double-sided tape holds it together.